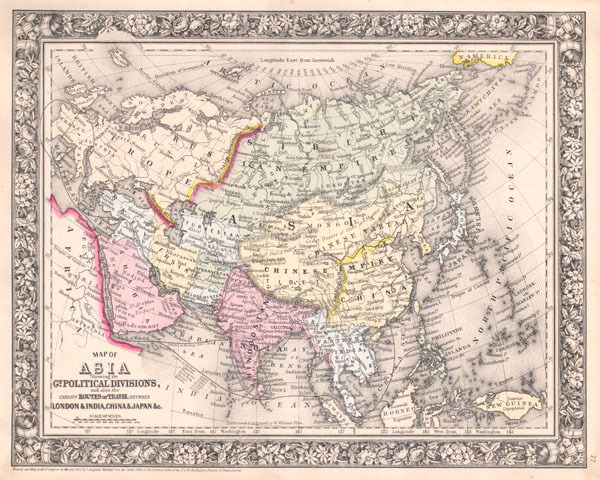 Map of Asia Showing its Gt. Political Divisions, and also the various Routes of Travel Between Lond & India, China & Japan & C.
Rumsey 0565.039 (1860 edition). Phillips (Atlases) 831. New York Public Library, Map Division, 1510834.